i've fired both and in honesty with a heavier AK74 you barely notice recoil at all. Not to be "that guy" but, I've fired both and I can tell you with all honesty both the AK74 and M4 are represented pretty accurately ingame. they both are very close, but the M16 is a little better in rapid fire control simply because of the ergonomics.......if you look at some videos you can see soldiers gripping the AK74 at the magazine which is crappy for rapid fire control. The only reason the AK feels like crap in Squad is not recoil, damage, rate of fire, or any stat like that. It's that its iron sights are so far from the user's face that they're very hard to shoot accurately with. The animation system overhaul promised for Alpha 10 will be changing the player camera a lot, I hope this is one of the things that get addressed. It's the gun construction, thing relating more to how gun is operating instead of how strong the bullet is. From my small live shooting experience, M4 is a bit better than AK74 in terms of fire control. M4 seems to 'kick' more in a straight line towards your arm and AK74 seems to move a bit more up. But you know, it's just "my feeling". You can get nice grip for both so it's not an issue, but if I can be honest - AK is missing the Red Dot in game, aiming with its oryginal iron sights is a nightmare, not to mention fire selector... Also reloading is in my opinion a bit more 'natural' and faster in M4s. For in-game AK, adding Red Dot sights is a must and I think it would be a nice fix. I hope so too. I've found the same thing with the AKs - the sights being so far away feels very weird and makes shooting (especially at any sort of distance) quite difficult. It applies to all sights in the game, it's just not as much of a problem with the M16's red dot. It's very difficult to accurately convey gun handling in a game anyway. 556 and 545 are very similar in recoil with regard to the cartridge. Ergonomics and operating mechanism (design) are probably the most significant factor. Just like I've wrote - guns are similar, but in Squad M4 have red dot sight, I think AK should get this also. Although not very realistic as from what we can see russian soldier is not using optics (there are of course exceptions) it's directly affecting gameplay. Closer to eye view of mechanical sights would be also a nice move (and I think it would be not as that hard to implement. 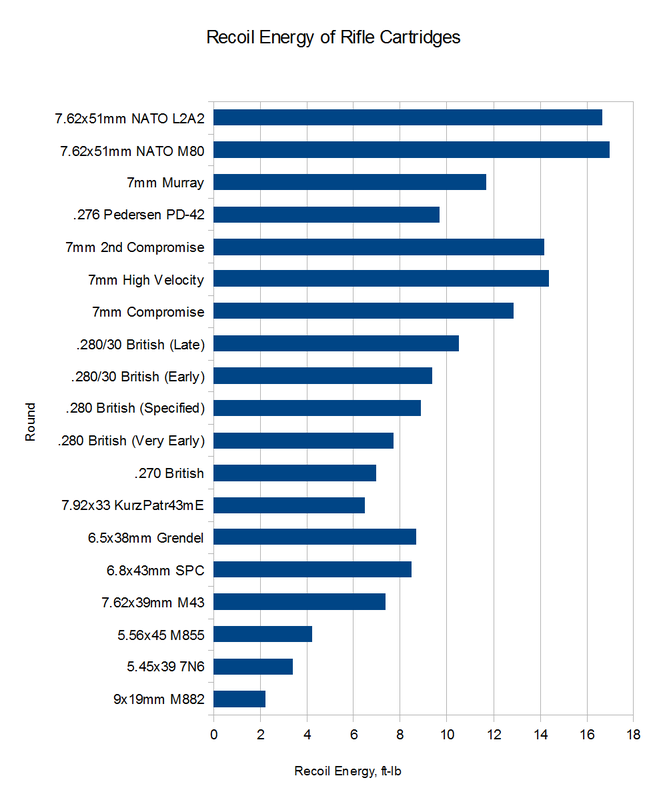 In my experience, AK74 kicks significantly less than than M4. However, as mentioned here, game balance is probably more relevant than personal experiences, which vary. It's a catch 22 situation where having the sights be a realistic distance from the character ingame becomes unrealistic because the player isn't actually in the game, but viewing from behind a small screen. So you have to make the sights unrealistically close in order to have them look realistic to the player. I like the idea but it's not representing what the Russian Army actually uses. The standard infantryman doesn't have any red dot on the AK-74's, just iron sights. Special forces have red dots and scopes on their rifles however. Yea, it bothers me also. From one side, it would be fair to get them on both weapons, on other side it would be unrealistic ... I think it would be best to change the zoom level of a gun when aiming down the iron sights. It's not just your experiences. There's a very good scientific explanation. The M4 uses an in-line design which means that the stock is in line with the bore-axis. That means that the recoil forces are directed straight back into the shooter's shoulder. The AK74 has a stock that seats below the bore-axis which means the rifle will want to tip upwards when fired. That's theory. In practice, AK74s less powerful round means less recoil overall, and I find it to be more controllable personally. As I said above, YMMV. Thats exactly what free recoil is, and the AK74 is better at directing the recoil force back into the shoulder. ill post sources in the first post. An in-line stock, like the one on the M16 and M4, is inherently better for automatic fire control than a stock design like on the AK74. The recoil forces are transmitted directly into the shooter's shoulder along the axis of the bore rather than below which reduces the weapon's tendancy to rise. You may 'feel' more of a kick from an M16 but it will be more easy to control. ^ Yep. Absolutely correct. It is indeed one of the reasons the AR is so easy to shoot and control. I have a couple ARs in 5.56 and a couple AKs, neither in 5.45 but I have shot some 74 variants. They are both pretty comparable with a small noticeable difference. Either way, Squad is a game and they can only match real life stuff so much. Eventually we're just going to have to be happy with what they give us. I am definitely excited about V10 and the changes it brings. I like AK style iron sights personally, but I do think that in game the FOV or something needs some tweaking. The rear sight seems a bit too far away as it is now. When I look down my AK the rear sight is much closer to my eye. That does depend on what rifle I'm shooting as I have different stocks on both of my AKs. I generally shoot my AKMS the most which is an under folder. 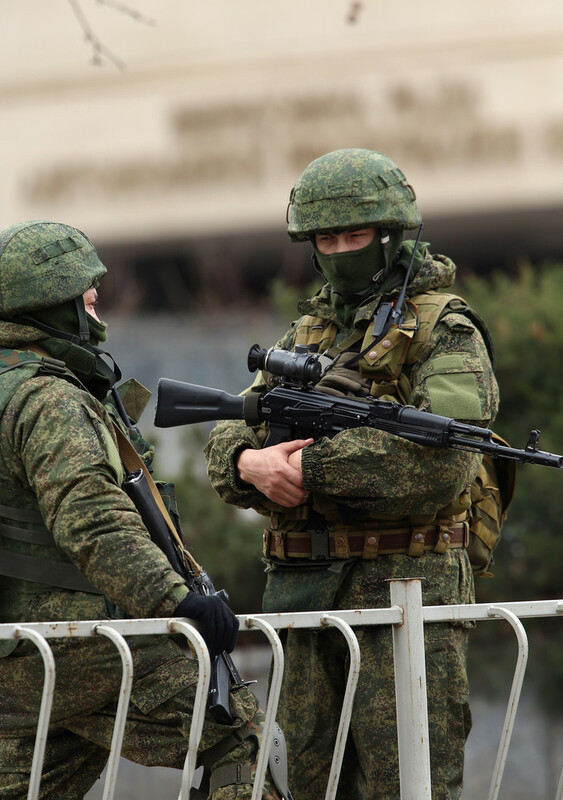 Scopes may not be a standard issue to the rifleman, but it doesnt mean they dont have access to them, if a soldier needs one they give one, heres some pics of Russian soldiers in Ukraine with 1P29's and 1P78 Kashtan's on their AK-74M's. From my small live shooting experience, M4 is a bit better than AK74 in terms of fire control. M4 seems to 'kick' more in a straight line towards your arm and AK74 seems to move a bit more up. These are not regular troops. 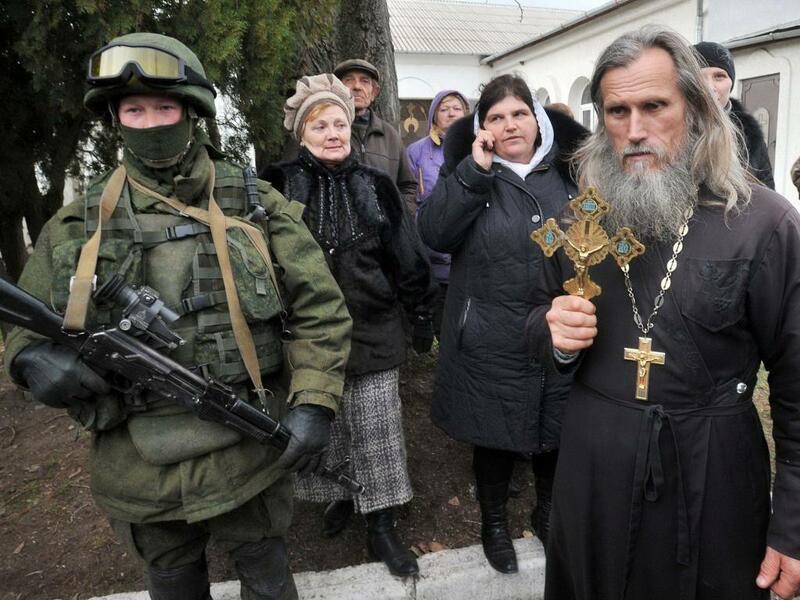 These were the Russian Special Forces that forwarded the securing of the Crimea. Key indicator is the soldiers bearing no insignia on the uniforms. These were 'The little green men' as they were named during the whole incident. I thought we were playing little green men in forest map. No? Multiple branches were involved in taking Crimea, we are playing standard infantry, not Special Forces. You still can obtain the 1P29/1P78(?) if you get the scoped rifleman class. Some are spetsnaz, some VDV, in any case they did not posses some rare forms of equipment. My point was that Russian riflemen can still into possession of optics when needed, not by default. Strictly from a realism point of view, I remember reading that certain Russian infantry are allowed to purchase optics for their weapons, but considering that most are only in for a year of service and are poor I don't think anyone beyond contract NCOs would actually purchase them. I have seen images of "regular" Russian infantry(although I think they weren't army but VDV) in possession of the Russian equivalent to red dots. In-game terms I think it would be plausible to have a limited(1 or 2) rifleman class having a Russian red-dot to reflect this, but it is just as plausible that a Russian squad would have no optics beyond marksman and certain rifleman assigned with scopes(I believe a Russian platoon is allocated a certain number of IP-29's which they can allocate as they see fit). I'll try to find the source I read this from later. The VDV present were 45th Guards, which is a Spetsnaz unit - not only under VDV, but GRU as well. They're a specialized reconnaissance airborne troop.